Solid brass construction. Supplied with bar and fixing screws. Short backplate length 106 x 42mm. Long backplate length 152mm x 42mm. Lever length: 95mm. BS EN1906 certified. 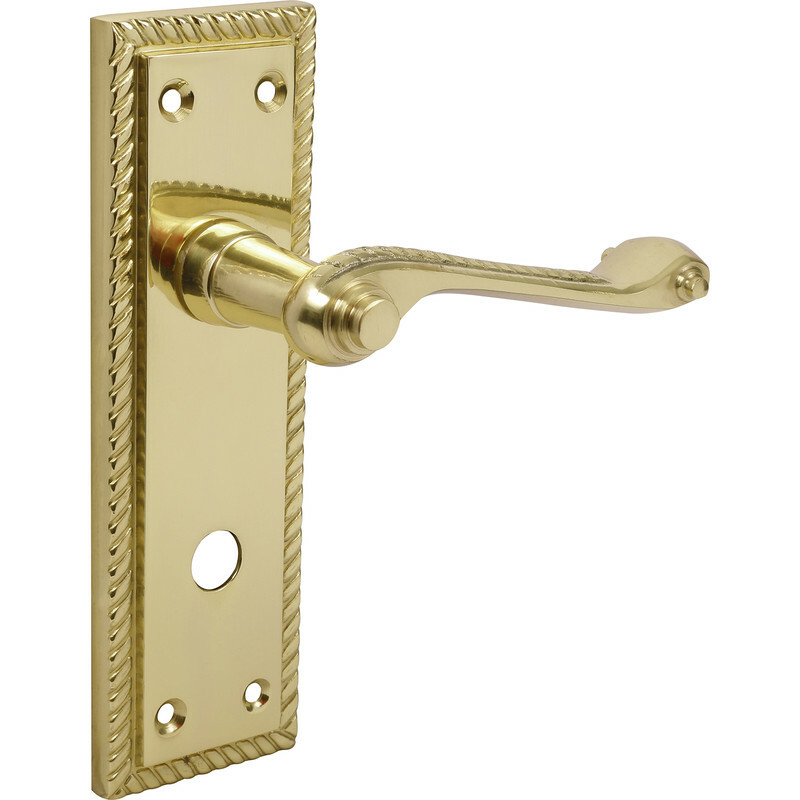 Georgian Scroll Door Handles Bathroom Brass (2 Pack) is rated 4.5 out of 5 by 2. Rated 5 out of 5 by Paul52 from Great buy. Bought this to replace an old brass door handle. Quality and price is excellent and easy to fit. Well pleased.